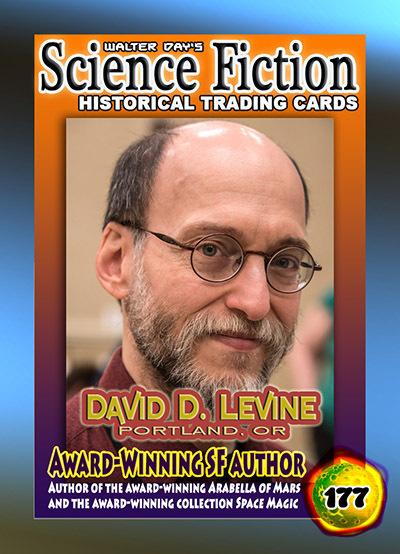 Our next Science Fiction Trading Card Spotlight features David Levine, who is displayed on card number 177 from the Science Fiction Collection. 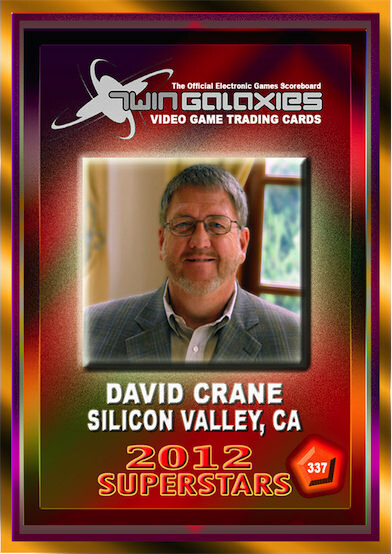 David is a multi-winning author with over 60 science fiction stories to his name. Numerous awards such as the 2006 Hugo Award for best short story and the 2017 Andre Norton award for his book Arabella of Mars. He is also a member of Book View Café, a writer-owned publishing cooperative. He is working on his third novel which will be coming out soon. You can find more information on David at his website, www.daviddlevine.com. I started writing science fiction at a very young age. I wrote a whole SF novel in fourth grade. But I stopped writing fiction after I graduated from college and didn't start again until I was 37. I think it was at age 40 or so that I seriously started to identify myself as "an SF writer." Remember how much fun you used to have playing Atari, Nintendo and all kinds of games on your computer? 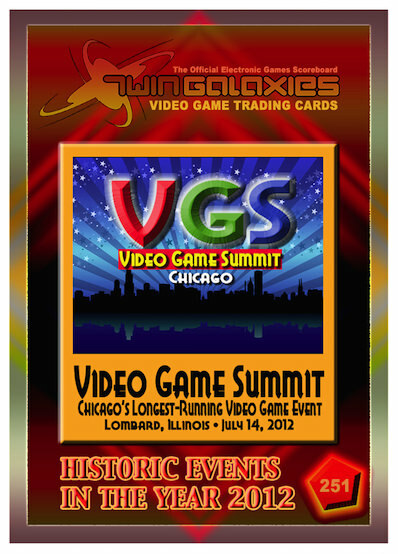 Well, you will have the rare opportunity to play these great games again at the Video Game Summit, Chicago's premier video game trade show. In fact, several dealers in retro games will be on hand offering games, controllers, systems and memorabilia and will be prepared to buy or trade for the games you have held onto since you were a kid. Who knows, you might just have an Atari cartridge worth $1000 or more collecting dust in your attic. The Video Game Summit is being held on July 14th, 2018 from 10 am. (Early Admission starts at 9:30am) until 6 pm. at The Odeum Expo Center 1033 North Villa Ave, Villa Park,IL. Our next Science Fiction Trading Card Spotlight features Tammy Coxen, who is displayed on card number 199 from the Science Fiction Collection. Tammy is what they call a SMOF (Secret Master of Fandom). She started working on fan-run conventions in 1997, eventually becoming chair of her local convention, ConFusion. After attending her first Worldcon in 2000, she became active in Worldcon fandom and has held a variety of area and division head roles. In 2014 she was the chair of Detcon1, the 11th North American Science Fiction Convention (NASFiC). She continues to work on conventions near and far, large and small. Are you still involved with science fiction today, and what role do you play? I am still an active convention runner. I’m currently the Division Head for Member and Staff Services for Dublin 2019, An Irish Worldcon. I’m also active with Worldcon 76 coming up this year in San Jose, California, where I’m helping with the Retro Hugo presentation. On a more local level, I’m head of programming for Capricon, a regional convention in Chicago, IL. 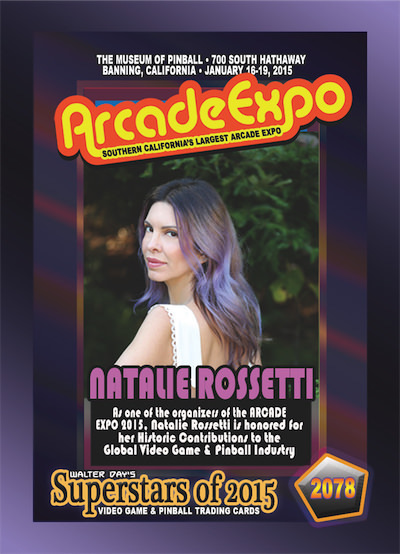 Our next Trading Card Spotlight features Natalie Rossetti who is displayed on card number 2078, from the Superstars of 2015 Collection. Natalie has been in the television and media world for many years now. She has worked on a variety of TV shows such as Fly Girls on the CW network. In 2012, she joined forces with Dave Danzara and was the videographer and editor of the documentary, “The Video Craze”. She is currently in the process of another gaming documentary called “No Princess in the Castle”, a film about women in the gaming industry. Natalie also owns her own film company called White Willow Films. I might be aging myself here, but my older brother had an ATARI 2600 in the early 80’s and I had to ask him for weeks if I could try it out. When he finally said yes, I just remember staring at the screen not really knowing what a video game was exactly. I have no idea what game I played, but I’m guessing it was Asteroids.